Our Carbonfree® Partner program is an innovative and flexible way to help your business calculate, reduce and offset your carbon footprint. You will help the environment, fight global warming, and help make the transition to a clean energy future possible. Our offset projects are third-party certified to the highest standards. Whether you’re a large or small business, we have solutions for your needs and goals. The Carbonfree® Partner program makes it easy and affordable for you to differentiate your business, reduce your environmental impact and communicate your leadership. You’ll receive use of our Partner logo, marketing support, and can garner publicity for your efforts to reduce and offset. 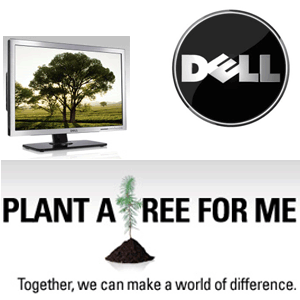 The Carbonfree® Partner program is an annual renewal program. Consumers are now demanding that businesses lead by reducing their carbon impact. 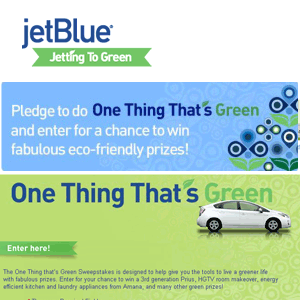 A partnership provides businesses an opportunity to actively court the growing number of eco-conscious consumers. These programs provide a way to differentiate your brand, reduce your environmental impact and communicate your leadership. Carbonfree® programs are highly customizable and our Partnerships Team will work closely with your company to develop a program that best suits your needs. We can help you attain your goals, while increasing sales, distinguishing your brand(s) or company, and satisfying your customers. Leading companies are experiencing the benefits of a Carbonfree® program. An event provides a great opportunity for you and your attendees to offset your carbon footprint. Our Carbonfree® Events program makes it easy and affordable for you to distinguish your event, reduce your climate impact, and communicate your environmental commitment. Use our events calculator to measure your footprint. 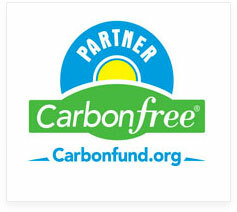 To qualify as a Carbonfree® Events Partner, you must offset at least 15 tonnes of carbon emissions. By supporting renewable energy, your business is making a commitment to clean energy production. This also allows your business to claim that it’s powered by renewable energy, even if the local utility does not offer it. For every unit of renewable electricity generated, an equivalent amount of RECs is produced. 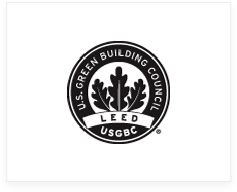 LEED is an internationally recognized certification system developed by the U.S. Green Building Council (USGBC). It measures how well a building or community performs across all the metrics that matter most: energy savings, water efficiency, CO2 emissions reduction, improved indoor environmental quality, and stewardship of resources and sensitivity to their impacts. The Green Power Partnership is a voluntary program that supports the organizational procurement of green power. 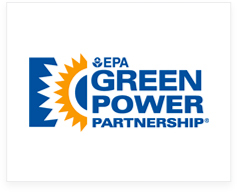 EPA actively promotes and recognizes Green Power Partners as environmental leaders through its Top Partner Rankings and Green Power Leadership Awards.